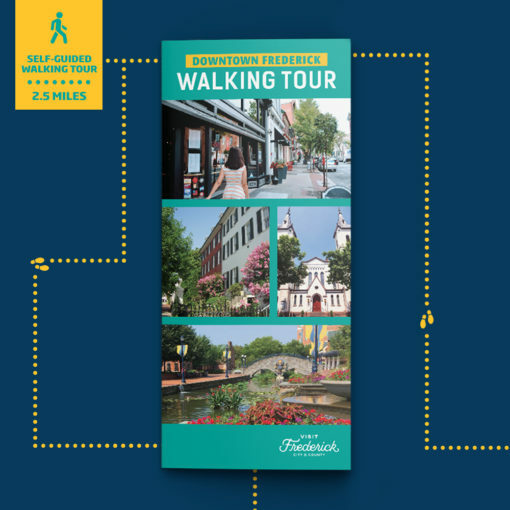 Put on your walking shoes and embark on the 24-stop, 2.5-mile Walking Tour in Downtown Frederick. 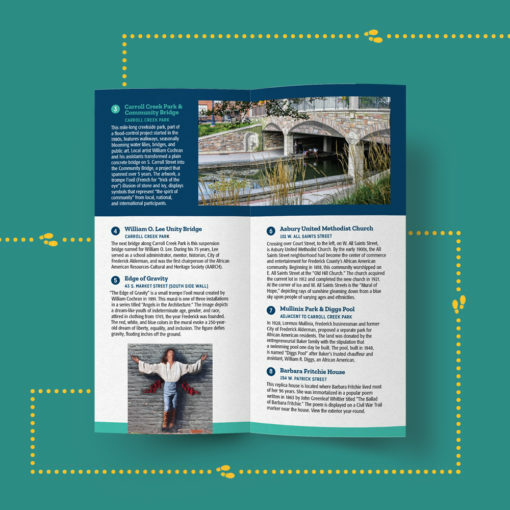 Featuring significant points of interest, historical sites, art installations, and more, the self-guided tour is perfect for first-time visitors and established residents alike. 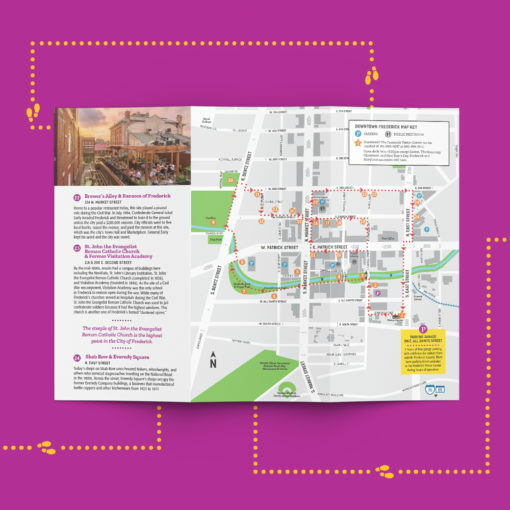 All you need to get started is the Walking Tour Brochure, which highlights each stop along the route and features a fold out map for easy navigation. 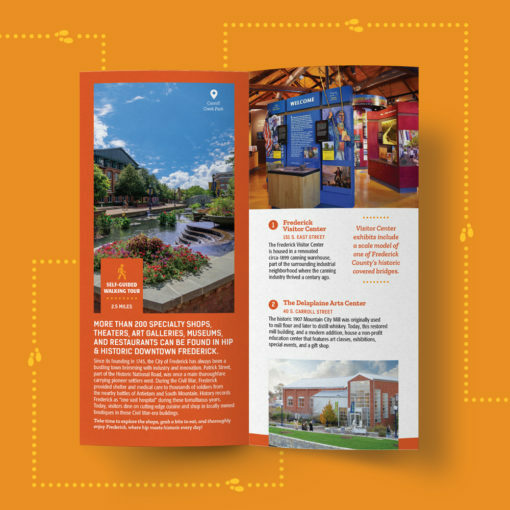 The brochure’s layout and color palette is as vibrant and energetic as the city, and sets the tone for this fun adventure!